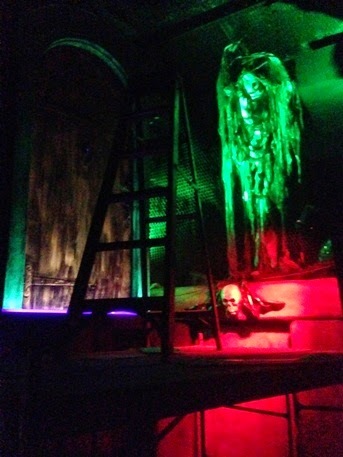 A Waldameer "Rite of Passage" is having the courage to take on the dark and spooky Whacky Shack. For many of our first rides we clinched onto our parent or sibling next to us, or we covered our eyes until it was over. Eventually we mustered up the courage to open our eyes and see the creepy creatures, corridors, and optical illusions firsthand, and finally we were even brave enough to take the spooky trip alone. Here is a Throwback Thursday gem for everyone. Whacky Shack in the early 1970s. 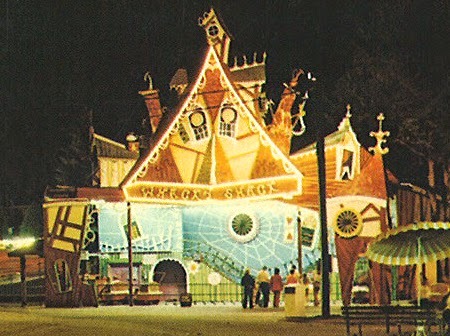 For over 40 years Whacky Shack has prided itself on maintaining a very traditional dark ride experience. However, to keep you on your toes we have added some extra surprises over the years to stand alongside the classic "stunts" developed by the legendary Bill Tracy who designed and helped construct Whacky Shack in 1970. For the 2014 Season, we have made some creepy updates to one of Whacky Shack's haunted scenes. Whacky Shack completes our 2014 Park Improvement Map! Right out of the spinning barrel you find yourself into what seems to be a dark, secluded corridor. Around the corner you find a mysterious door guarded by an ghostly skeleton figure. Apparently this Apparition thought that some of us were too curious about what could be behind his door that he summoned Whacky Shack Historian and Artistic Expert, Randy Skalos, to make is guarding presence more intimidating. Let's see what became of this haunted makeover. Early stages of the corridor's makeover. Working with wildfire paint sometimes requires work to be done under only black lights. 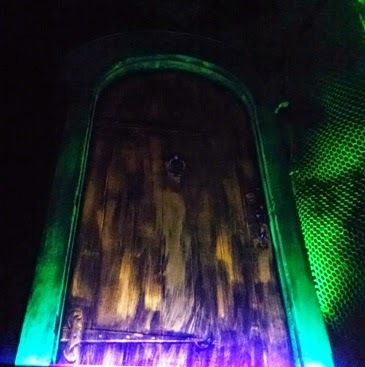 The mysterious old door took on a more eerie glow. 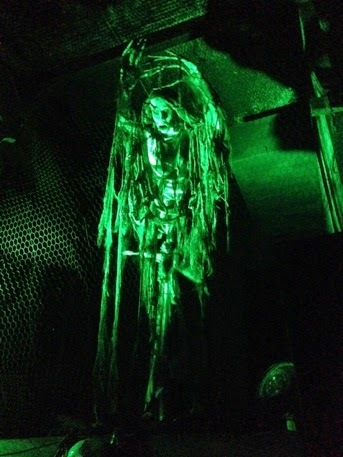 The Apparition guarding the old door now glows with a new gory green. Why is this door so important to be guarded by an Apparition? This door is a integral piece of Waldameer's storied 118 year history. This door was located on an old cottage where our current maintenance building is today. The cottage was home to members of the Moeller Family who owned Waldameer for several decades before the Nelson Family took over. In efforts to preserve the heritage of the family's cottage once it deteriorated, it was decided that the iconic door would find a new home in the recently constructed Whacky Shack, and be forever guarded by an Apparition. While not a Bill Tracy original scene, no one can deny that no ride on Whacky Shack is complete without encountering the Apparition guarding this historic Waldameer Treasure.